Minnesota United's 2018 season is over, but the sights and sounds live on in a series of new documentaries that air beginning Tuesday at 6 p.m. Central time on FSN North, before the Wild's pregame show. 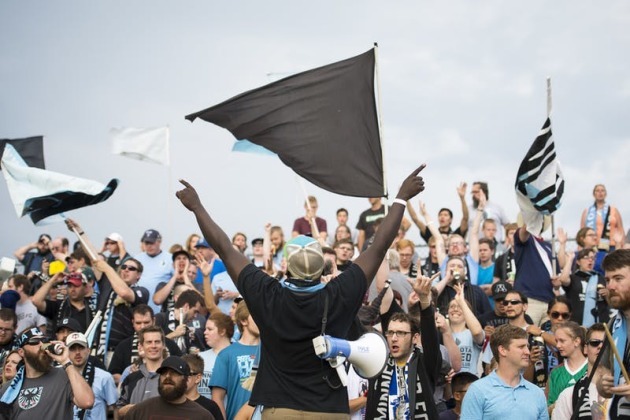 Called "Behind the Loon: Wonderwall," the 30-minute show looks at the supporter culture that has come together to form the "Wonderwall" with the team headed to the opening of new, soccer-specific Allianz Field opens in the spring. Other Behind the Loon documentaries that cover various subjected related to the team and soccer will follow.